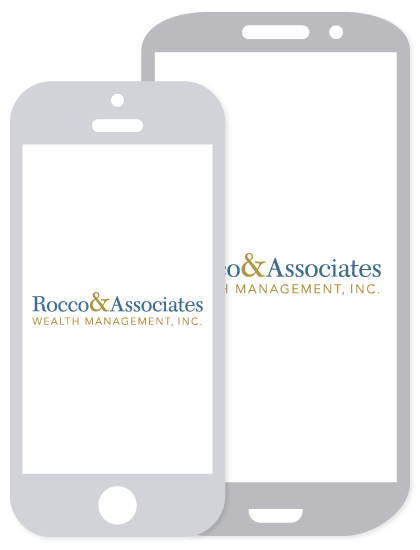 Around the Office - May 2017 | Rocco & Associates Wealth Management, Inc.
May is Eldercare Month at Rocco & Associates! Eldercare, as defined by Merriam-Webster, is the care of older adults and especially the care of an older parent by a son or daughter. All month long we will be highlighting some of the challenges and opportunities surrounding Eldercare as well as topics that all interested parties involved should be aware off. Our blogs and social media posts will also include a host of informative content to make you more aware of this very critical area in the financial planning process. As a firm, we are constantly working with clients to help get these types of conversations between loved ones started early. As we age, things can change rapidly and you will want to have everything in place to ensure there is no interruption in care or conflict between family members. If you or someone you know is experiencing challenges as a caregiver, please have them call our office to see how we can assist! Are you entering your golden years? Do you enjoy woodworking, billiards, ping pong, Tai Chi, Zumba, music, art or other fun activities? 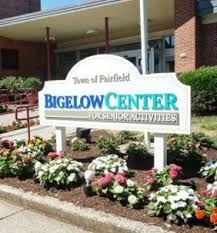 If the answer is “yes,” and you are a resident of Fairfield, you need to be sure to check out the Bigelow Center for Senior Activities. The facility is conveniently located at 100 Mona Terrace in the Fairfield Beach area of town and can be reached at 203-256-3166 or online at http://fairfieldct.org/bigelowcenter. The center’s formal Mission Statement reads, “To provide services and programs for older adults that promote well-being, support independence and encourage involvement in community life.” Our own Eric Johnson sits on the board of the Friends of the Bigelow Center for Senior Activities, which is the 501(c)(3) nonprofit organization that provides funding for enhancements to the programs, services and facilities at the center. Need transportation to and from the facility? They have you covered for that as well. If you have not been to the center or were not aware that it exists, we highly encourage both seniors and even their caregivers to give it a closer look, you will be glad you did. In addition, Eric would be more than happy to answer any specific questions you have as well, so feel fro to contact him directly or via email at [email protected] to discuss. The team was excited to be part of this year’s sold out event on May 4th at the newly christened Penfield Pavilion. In fact, Operation Hope was the first non-profit to hold an event at the newly renovated pavilion, which has been shuttered since Superstorm Sandy. The night’s festivities included Community Hero Awards, tropical inspired-cocktails, dinner, live music from the Roylety Steel Pan Band, silent auctions and more. An Evening of Hope is the organizations most significant event to raise funds to feed, shelter and counsel those in our community who are most in need, helping to break the cycle of poverty. At our sponsored table we were fortunate enough to be joined by two local police officers and their spouses. This year’s Community Hero Awards were given to Michael Rosten of BowtiesEsq Real Estate Services, Sharon Risley of Capri Boutique and Gary MacNamara, Chief of the Fairfield Police Department. What a great event, we are all already looking forward to next year!